You are never too old to start learning something new! You don’t have to play a Mozart Piano Concerto the first year! Throw away all of your pre-conceived notions about how difficult it is. Learning to read music is actually very, very simple. Within a few short weeks you will understand what those little black dots on the page of music mean and which keys they correspond to on the keyboard. You’ve heard the expression, “Use it or Lose it”… Well, consider this; The older we get, the greater our need for use and exercise of all our bodily functions. Small motor skills such as grip, writing, flexing your wrists (which many times are the signs of arthritis in its various forms) become more and more difficult. Learning something fun and new that involves muscle memory, coordination, focus and concentration is a great way to stimulate neurological and physical connections in our body. And a daily practice of scales or your favorite song keeps your dexterity intact! …that’s why we call it playing! In the beginning you learn the simplest principals that introduce one small challenge after another. So, guess what happens when you meet a challenge and accomplish the task, …it feels amazing! Every step of the way feels great as you learn and overcome. Motivation and inspiration are a couple of bi-products and that can’t be bad. There’s something wonderful about hearing music come out of an instrument because you made it happen. As adults we have the emotional opportunity to pour our hearts into the creative process. All of this is somehow hard-wired in us…and it feels good. Even just passively listening to music creates an environment in which your thought processes and reasoning capacity is increased. A music teacher I had when I was young, told me she gave the math teacher Mozart CDs to let her class listen to for ten minutes before a Math test. The children always scored better on the tests after hearing the music than they did when taking the test with no music! Music lessons not only opens the door to the world of music and creativity but can serve to naturally enhance our health and elevate our hearts. In this day and age, we are increasingly isolated with use of mobile devices or communicate “digitally” with our family, friends, and social networks. Learning to play music can afford us an entirely new and “organic” set of familial and social opportunities. Imagine being able to play music with your son or daughter, your husband or wife. I can tell you from personal experience, it’s like nothing else in the world… and that’s only the beginning. Small group classes often provide a great weekly social function and something really enriching to look forward to. Group or private lesson are a great way to for those of us who like the idea of playing music with others, learning to play the piano, guitar or other instrument, can go a long way toward finding common ground with like-minded friends and musical partners. Whenever you hear the unmistakable sound of the “tickling of the ivories”, every ear is drawn, every thought is to make your way to that room. 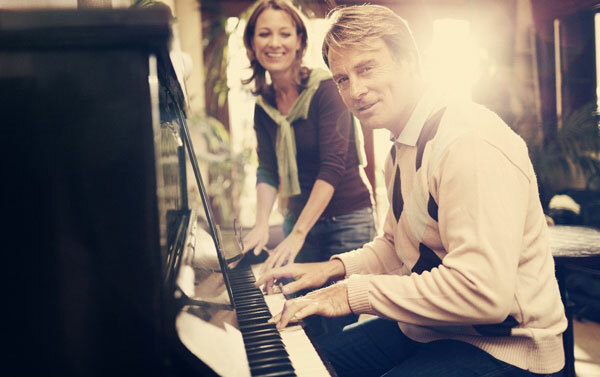 More and more older adults are learning, it’s never too late to pick up a musical instrument. I think you’ll discover, some of the best times can be discovered while singing around the piano or learning a new song with family and friends. 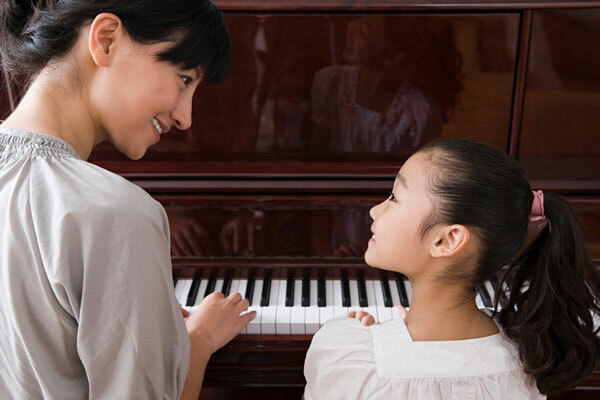 B Natural Pianos & Music School has hundreds of adult students enrolled in small group and private music lessons and they will attest to the fun and satisfaction that learning how to play the piano has brought to their lives. Let that be you!